The All New BMW X5 Arriving at your local Rybrook BMW retailer November 2018. 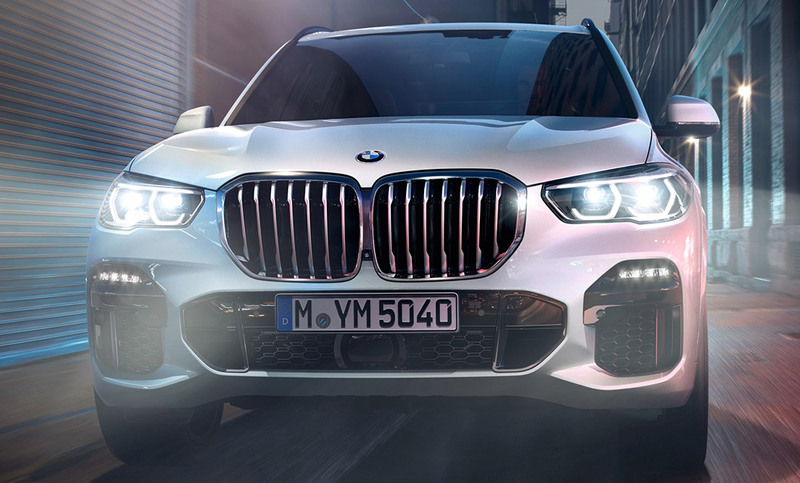 Forget what you know about sports utility vehicles, the new BMW X5 has been redesigned and rebuilt from the wheels up and has new levels of luxury, connectivity and performance. Thanks to some smart digital enhancements, the Ultimate Driving Machine is more intuitive than ever before. Underpinning everything is the new BMW Operating System. It cleverly combines vehicle functions through gestures, speech, a new larger touch screen and iDrive controls. There’s also a new instrument cluster with a more modern look. The new BMW X5 design makes a powerful statement. The enlarged one-piece kidney grille, which has a hexagonal design, is paired with a sculptured bonnet, and gives the iconic front a new lease of life. Other standout features include the short overhang, a compact wheelbase, and a noticeably more upright appearance, when combined with the elegant roofline, its grandeur and sportiness is in perfect harmony. Drivers can expect more from the new BMW X5; more functionality, more space and more adventures. In part, this is made possible by the new electric split-tailgate, which helps with loading/unloading, and also the optional third row of seats. It also comes with Adaptive two-axle air suspension and an optional xOffroad pack, which includes four new off-road driving modes. For drivers, there’s a new superior driver-orientated cockpit to immerse in. For everyone to enjoy, there is sublime Vernasca leather upholstery as standard and an optional upgrade to high-quality Merino leather. 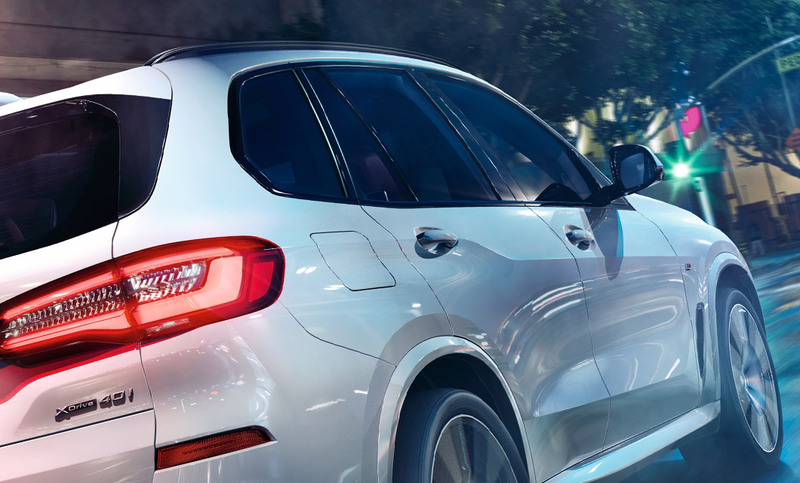 What’s more, the new BMW X5 boasts a full sensory experience with an Ambient Air Package and enhanced interior mood lighting, which not only elevates the driving experience but also responds to incoming alerts, such as phone calls. Thanks to the xOffroad pack, the new BMW X5 is prepared for wilder adventures. Four driving modes – xSand, xRocks, xGravel and xSnow – allow for adjustments to the xDrive capabilities and empower drivers in a range of adverse conditions. Featuring a specific xOffroad interface, under body protection, and optimised gearbox and pedal controls, it’s a new form of driving pleasure to explore. 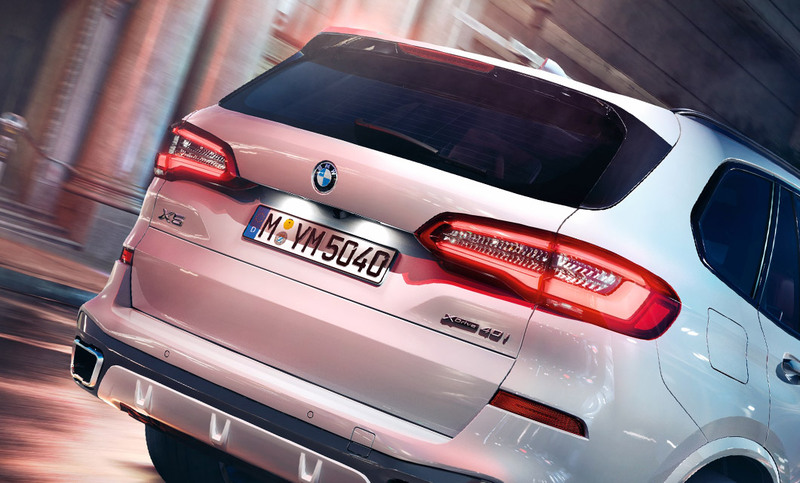 With stylish light features the new BMW X5 is hard to miss. But it’s not all about functionality; there’s also the light carpet which ushers you into your seat, dynamic interior mood lighting, and 3D full LED taillights. Interested in a New BMW X5?